Back on the market and Priced to Sell! The property is located in the Breezewood Subdivision, in Spotsylvania County. No HOA! Enjoy a nice mature neighborhood with partially wooded lots and plenty of peace and quiet. This 5 bedrooms, 4 full baths. The home sits in the middle of a quiet cul-de-sac and features a jumbo gourmet kitchen with plenty of granite counter tops, double walled ovens, large kitchen farm sink, and ceramic tile flooring. It has two large master bedrooms with en-suites, huge family room with wood beamed ceiling and a wood burning fireplace. 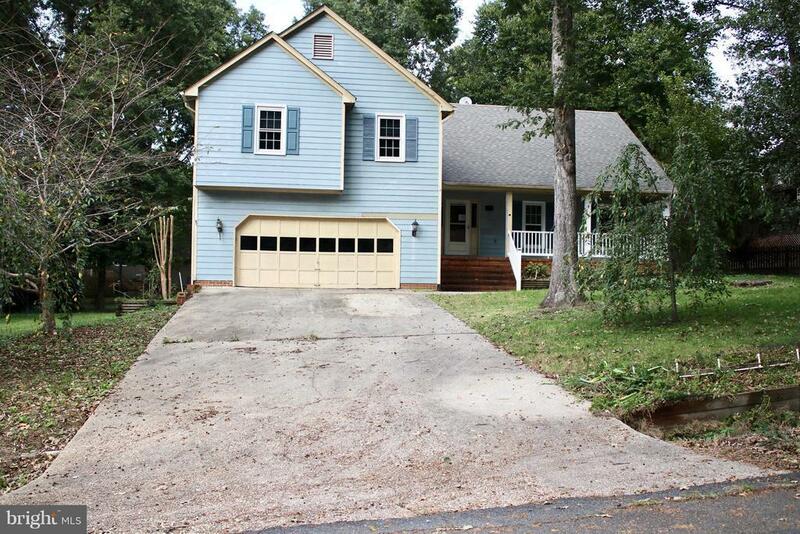 A large deck, giant fenced backyard, sizable front porch, and a large front yard. Close to shopping, restaurants, theaters, commuter parking lots, Virginia Railway Express(VRE) train station & I-95! This property may qualify for Seller Financing (Vendee). Don~t miss out on this closeout special! Directions: I-95 to exit 126, right onto RT 1 south, right onto Southpoint Pkwy, left onto Courthouse Rd (RT 208), Left onto Breezewood Dr, right onto Bainbridge Ln, home on right.